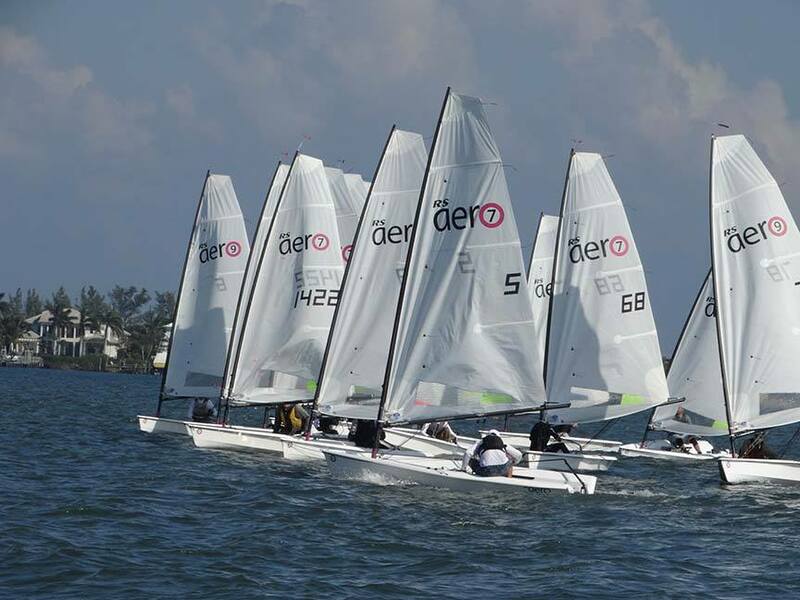 The second event in the Florida RS Aero Winter “Series” was the first ever Florida State Championships held February 3-5 at the United States Sailing Center of Martin County located along the Indian River lagoon in Jensen Beach, Florida. The setting proved spectacular in terms of facility, race management, hospitality, location and weather for the eighteen racers that signed up for this second largest US East Coast RS Aero event. 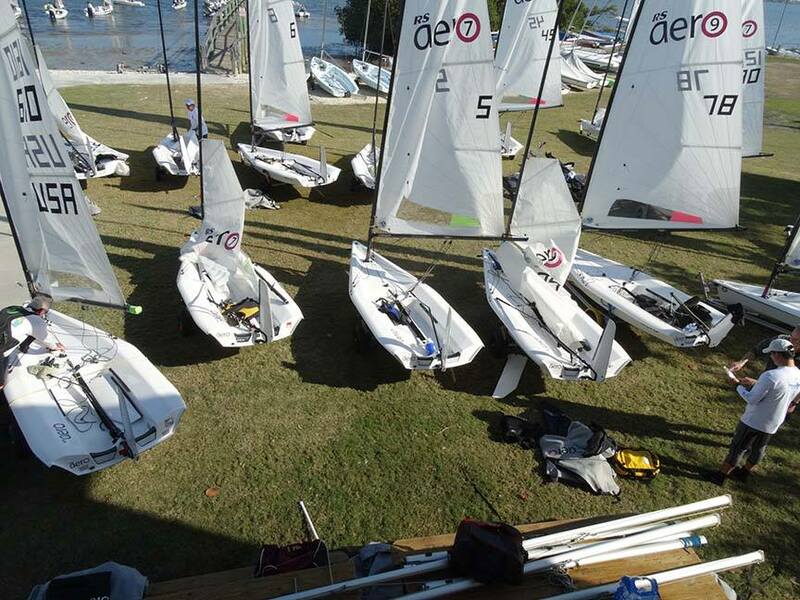 The mix of sailors that registered included several that had competed the weekend prior in Palm Beach, Marc Jacobi, Eric Aker, Tony Corkell, Madhaven Thirumalai, Paul Gingras, Micahel Housely, Danielle Chandler, Bill McKenzie, and Greg Popp. 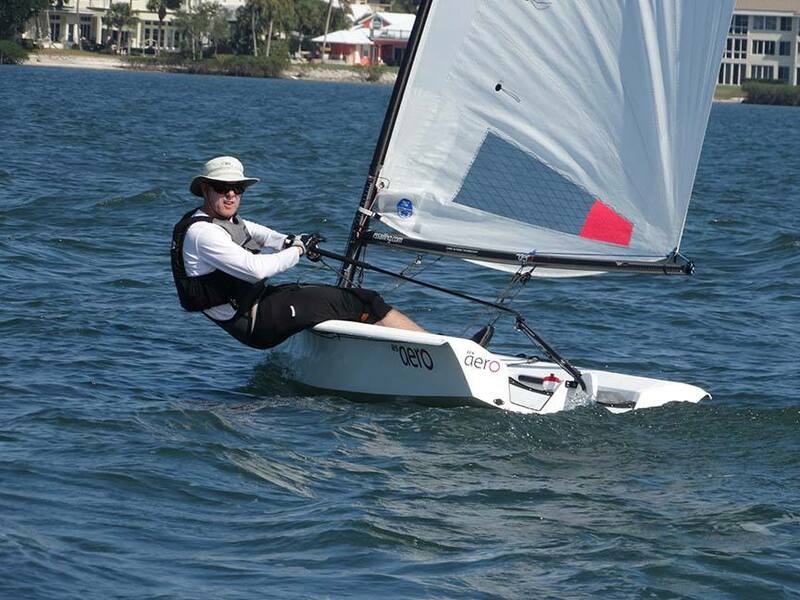 There were several competitors new to the Aero to include Olympic level sailors Monica Wilson and Dave Chapin. For those who made the trip to Florida for a sail, vacation, and sail, they were treated this weekend to Chamber of Commerce weather with azure skies, warm temperatures that reached into the 80s, and delightful winds of 8-15 knots for the majority of the event. Friday offered ideal training conditions for Marc Jacobi’s shore side and on the water introduction to the Aero. More follow the leader, tack and gybe, practice starts on very short lines, and practice races including the moving mark boat, made for interesting sailing for the contingent on the water. The last activity was a one by one sail by for photos of the sailors for a later surprise. Saturday was a picture post card perfect day with abundant sunshine and a 10-15 knot northeast breeze. 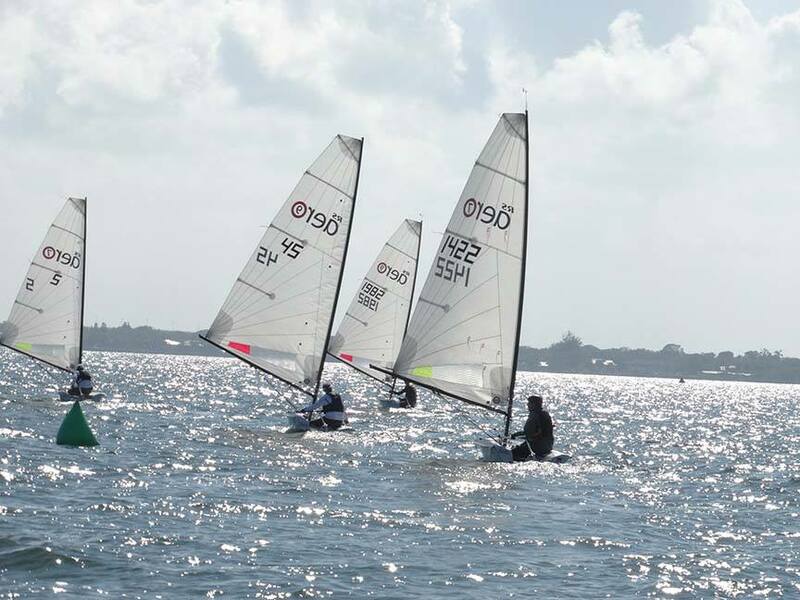 Following the competitors meeting on the upper patio of the Sailing Center, the fleet launched off the beach and sailed to the race area north of the Stuart Causeway. There the Race Committee set the course of two windward, leeward legs with a starboard broad reach to a gybe mark followed by a port broad reach to the leeward mark and a short beat to the finish. The winds stiffened through the course of the racing leading to planing conditions and rigorous weather work. An additional race was added to make for five for the day and an opportunity to run only three the following day so that all might get in early on Super Bowl Sunday. In the 7 rig group the lead was exchanged repeatedly between most of the sailors. Brand new to the Aero but a skilled Laser sailor, Peter Hansen, sailing in his home waters, finished the day in first place closely followed by Aero veteran Eric Aker, and Olympic sailor, Monica Wilson, who was also sailing out of her home club. In the mix early was Simeon Thomas who made the trek from Colorado to sail and enjoy a warm weather respite. 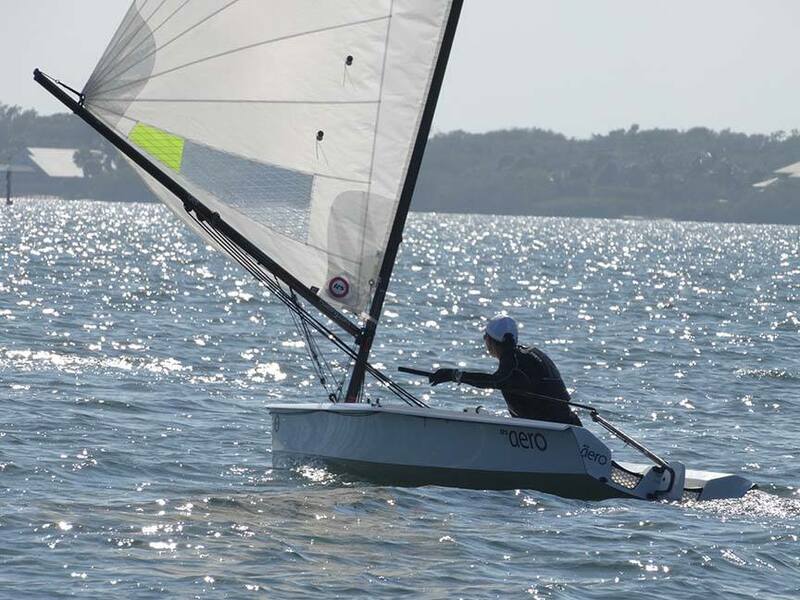 Always in the running were Dave Solnick, an Aero and RS 100 sailor from NYC, and new to Aero and dinghies sailor, Ross Martin. Persistent with her commitment to learn the Aero but probably having the most fun based upon the degree of laughter heard by all was Danielle Chandler. As the racing ended the fleet made their way back to the Sailing Center, secured the boats and went off for the evening. About twenty folks made their way for a group dinner arranged by Greg Popp at Tony Roma’s restaurant dining al fresco under the stars while serenaded by what some described as a wounded duck. Notwithstanding the painful renditions of popular music, the food and drinks were almost as good as the camaraderie and the night grew long with stories and laughter. Sunday brought with its arrival more warm temperatures and sunny skies with lighter breezes offering opportunity for those skilled in lighter air to advance. In the first race the disappearance of the breeze resulted in an abandonment much to the dismay of Paul Gingras who was in a leading position amongst the 7 rig division. As the wind filled back in changes in lead positions occurred amongst the 7 rig group with Monica Wilson and Tony Corkell moving up in the standings. 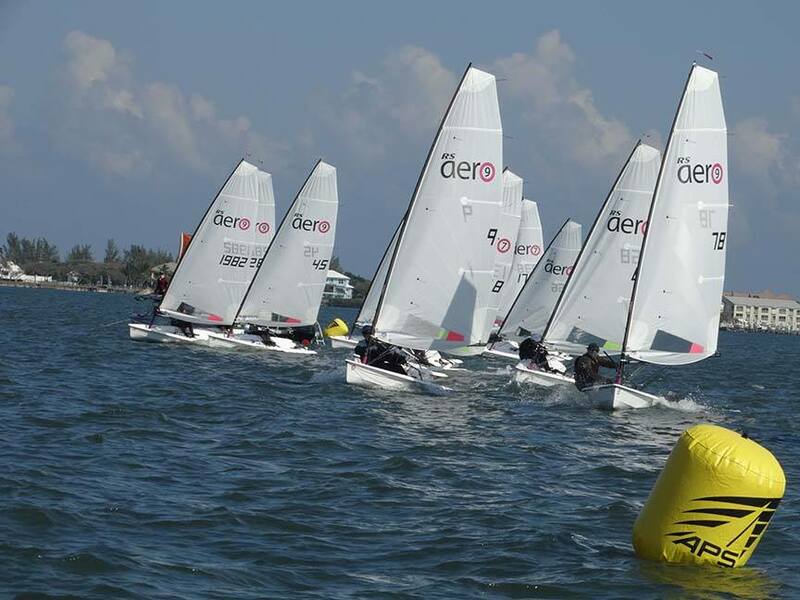 However, Peter Hansen retained his first place position with strong finishes ending the regatta as the leader. Monica and Eric vied for second but Eric won out as second overall and Monica came in third. Tony showed improvement in his finishes for each race of the event and ended in fourth with the rest in trail. In the 9 rig division, the battle between Marc Jacobi and Dave Chapin continued with the finishes ever closer including one bullet for Dave. Madhavan pressed both of them and was in turn pursued by Bill McKenzie who finished in a tie with Brian Gilcher, both new Aero sailors but accomplished Laser sailors. Jerry Sliwinski was so taken with the Aero that he made the decision to join the Aero owner family and pulled the trigger on acquiring one. Back at the Sailing Center, the fleet began the process of getting ready to depart but took time out to join in the closing ceremonies and awards presentation. Thanking the host US Sailing Center of Martin County, the Race Committee, other volunteers, Sandy Point and Masthead for the morning snacks, RS for the donation of the auction sail, and all of the competitors for making the first time Florida State Championships a resounding success, Greg Popp polled the group on the two regatta series and interest for the future. The response was a resounding, let’s do it again next year! Greg then proceeded to present to each participant a surprise, a framed photo of them sailing the event with those finishing in the victory positions receiving recognition of their accomplishment. Each sailor had something more to take away then just a memory, a treasure of the experience to hang on the wall or to rest on a desk. For those out of the ”money” it was particularly special without detracting from the achievements of the winners. The auction of the Aero sail was won by Dave Solnick who was the top bidder and the proceeds going to support the two events, a win for all. With the series concluded, the boats were packed up, trailers and racks loaded, and farewells conveyed with all looking forward to the next opportunity to once again sail the Aero.